Before: The key to a better before-picture is, take the most unflattering before shot possible. 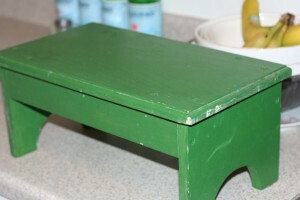 This little green stool was from an Amish store out in the boon docks of Fred. It was $4. I keep it in my kitchen to reach stuff– since, for instance, my microwave is on top of the fridge. After. She was fun. 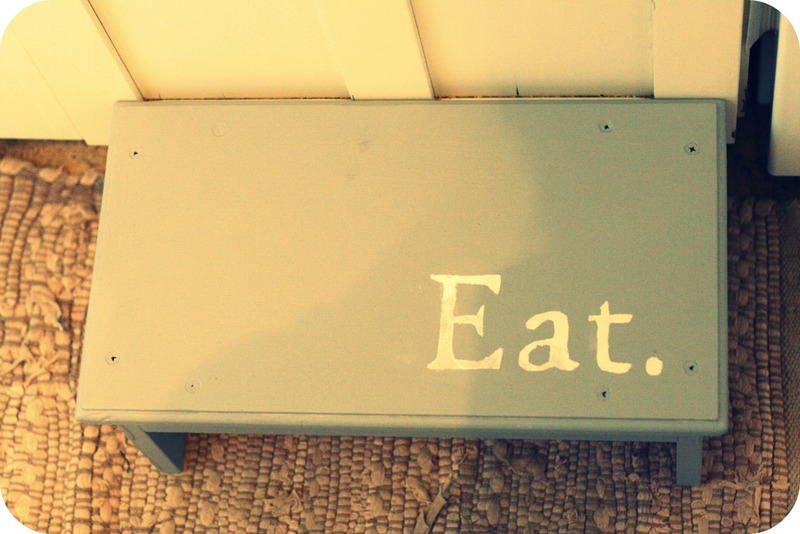 I made the stencil myself using freezer paper. So free project. She brightens up the kitchen quite delightfully. Girls. Get OUT of the pantry! love those lil girlies feet and legs. Wow, this is so cute! I love the word Eat on it. I’m going to bookmark this. 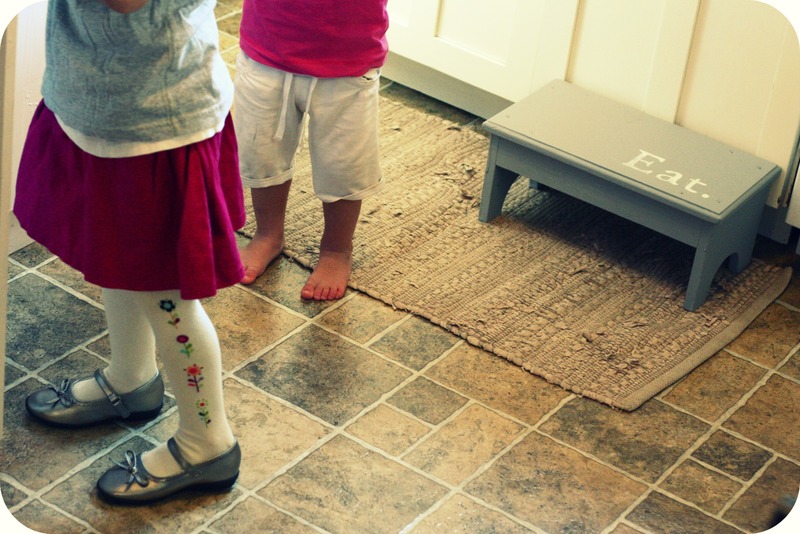 I have the perfect stool to use… Thanks for the inspiration!